Here at Barrel, we think a little friendly competition is a good thing. Back in January, we launched Barrel Build a Business (BBB), an internal competition meant to give the Barrel team first-hand experience in launching a business from the ground up. 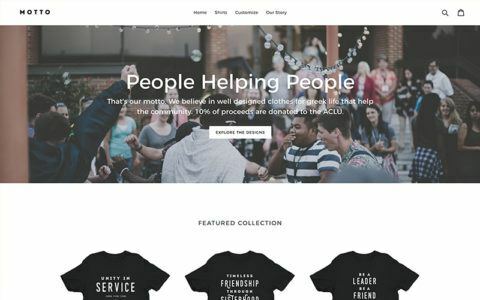 Employees were split into four teams, and instructed to launch a new e-commerce brand on Shopify with just $500 in startup funds. The rest — website design and development, brand mission, marketing — was up to them. Each team included members from our Development, Design, Production, and Growth Marketing teams, whose combined skill sets allowed them to carry their brands from ideation all the way to promotion. 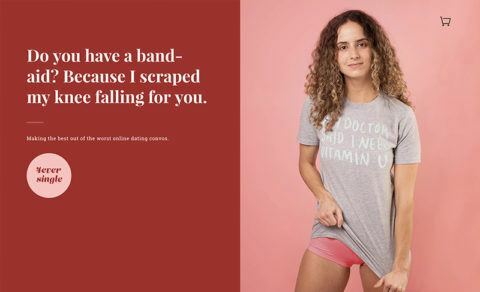 4ever Single is a clothing company that repurposes the cheesiest online dating pick-up lines for a collection of t-shirts and tote bags. The perpetually single among us can wear them proudly. Visit website. A t-shirt company with a philanthropic goal, The Motto Life aims to highlight the good parts of Greek life. The Motto Collection features meaningful slogans and sayings from diverse, community-focused sororities and fraternities around the US. 10% of all proceeds go to the ACLU. Visit website. 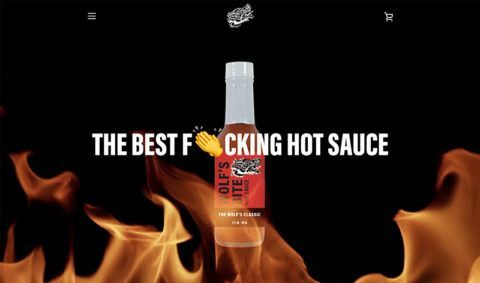 Wolf’s Bite is a hot sauce company that makes, as they put it, “the best f*cking hot sauce.” Wolf’s Bite’s products range from a classic cayenne pepper sauce to tangy Smoked BBQ Chipotle to sweet and savory Peach N’ Pepper. Visit website. FakeBooze is what it sounds like, kind of. 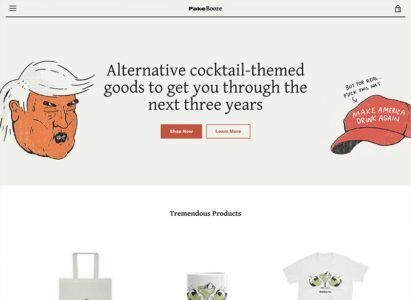 Every three weeks, the company will publish a new cocktail recipe that parodies the Trump Administration (like the MAGArita), and then release themed merch featuring original artwork. 20% of every purchase will be donated to Planned Parenthood, the ACLU, or the International Refugee Assistance Project. Visit website. Now it’s just a race to the finish line. All four teams have fully launched and are currently in the marketing stage. Whichever team earns the highest profit by August 31st will be named the winner, and will be able to keep their profits. Plus, they’ll get company-wide bragging rights.